This weekly series focuses on simple, fun and family-friendly projects for parents and children. PBS KIDS will kick off the holiday season on November 26 with the return of the classic family favorite CURIOUS GEORGE: A Very Monkey Christmas on PBS stations nationwide. In this fun-filled one-hour special, families can join their favorite monkey and the Man with the Yellow Hat as they count down the days until Christmas. The fun continues throughout December with new episodes across the schedule on PBS stations. 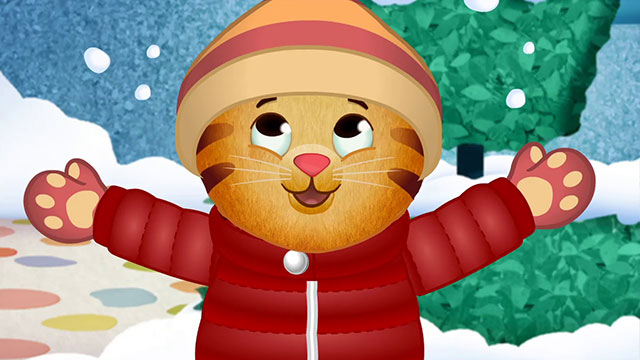 Viewers will help Otto and Olive solve a reindeer case in an all-new episode of ODD SQUAD, celebrate Christmas and Hanukkah with Peg and Cat in a one-hour PEG + CAT + HOLIDAYS special, spread cheer with new engine friends Gator and Reg on THOMAS & FRIENDS and go on a winter adventure featuring The Nutcracker Ballet with Daniel Tiger. 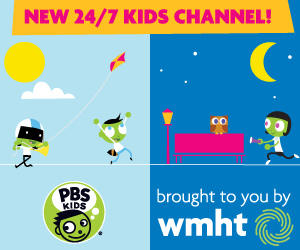 Select clips and full episodes will also be available on pbskids.org, the PBS KIDS Video App and PBS KIDS on Roku, Apple TV, Chromecast and Amazon Fire. Join George and The Man with the Yellow Hat as they count down the days until Christmas. There’s only one puzzle: neither of them can figure out what to give the other for a present. The Man is having trouble reading George’s wish list and George doesn’t have a clue about what to get for the Man who has everything. Maybe you can help! In this Christmas-themed episode, Olive and Otto help Santa track down his missing reindeer. Also, Oscar helps Ms. O get off Santa’s naughty list. The Hanukkah Problem - When Albert Einstein invites Peg and Cat over for Hanukkah, he shows them how to make a 2D piece of paper into a 3D dreidel. Later, they need to use this process to bring peace to Al’s home and save his Hanukkah. The Christmas Problem - When Santa Claus is in trouble, Peg and Cat have to solve their biggest problem ever: how to make and wrap presents for all the children of the world, and then deliver them using 100 sleighs. Daniel’s Winter Adventure - Daniel, Dad, Prince Wednesday and Prince Tuesday are all going sledding! But once they get to the hill and see how tall it is, Daniel and Prince Wednesday get scared. Dad assures them that if they try it a little bit at a time, they might surprise themselves and have a great time. Later, Daniel ice-skates for the first time. When he tries it a little bit at a time, he realizes it is not so hard. Neighborhood Nutcracker - Daniel is going to see a show called The Nutcracker Ballet! Once he arrives at the performance, he finds out that Prince Wednesday is sick and needs Daniel to fill in for him and dance on stage. Daniel is reluctant at first, but realizes that if he learns the steps a little bit at a time, he can dance the Nutcracker and the show will go on! Strategy: If something seems hard to do, try it a little bit at a time. Duncan The Humbug - Everyone is happy at Christmastime except Duncan, the Scottish narrow gauge engine, who seems to be grumbling even more than usual. Victor offers Duncan a new coat of paint if he can refrain from grumbling for one whole day. Duncan rises to the challenge, but it is not so easy for an engine who likes to grumble to give up a lifetime habit. The Perfect Gift - The whole island is celebrating Christmas and there are decorations everywhere. But it doesn't look very Christmas-y at the scrap yard. Percy starts to worry that Reg is missing out and he tries to find something to give Reg to cheer him up. But Reg only seems happy about scrap. Percy discovers that Reg is celebrating Christmas in his own way and has been making decorations from the scrap. Last Train for Christmas - It’s Christmas Eve and a lot of passengers are coming home to Sodor for the holiday. Connor can’t carry all the passengers who are trying to get on his train. He promises to come back and pick them up, but the snow keeps falling and the engines are struggling to keep the tracks clear. It becomes a race against time, and the engines have to work together to clear the tracks and get the passengers home in time for Christmas. Long Lost Friend - Gator returns to the Island of Sodor after being away for a long time. He is looking forward to seeing his old friend Percy. When Percy hears that Gator is back, he is very excited and immediately heads off to see him. But the two engines keep missing each other. They both have doubts they’ll see each other, but finally they connect and have a wonderful reunion.